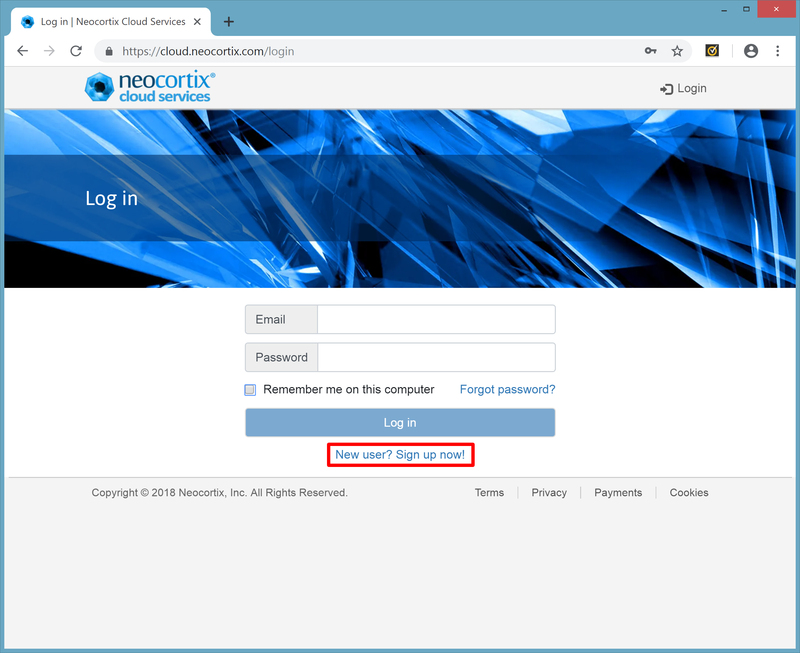 In this tutorial, we will show you how to set up your Neocortix Cloud Services account. 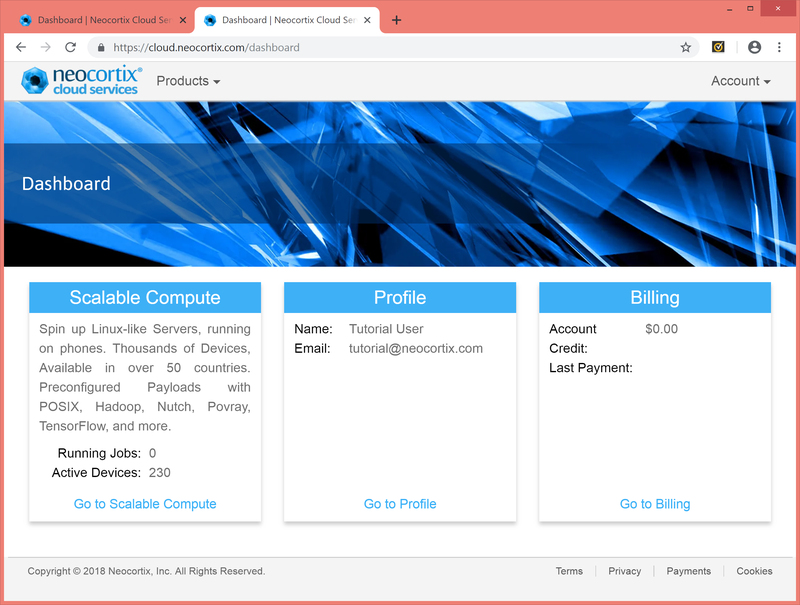 This will take you to the Dashboard page (below). But your email is not yet confirmed, as shown in the yellow warning message. Then go back to your browser showing the Dashboard page. It should now show the Dashboard with a new yellow warning, as shown below. At this point, you have created your account and confirmed your email. 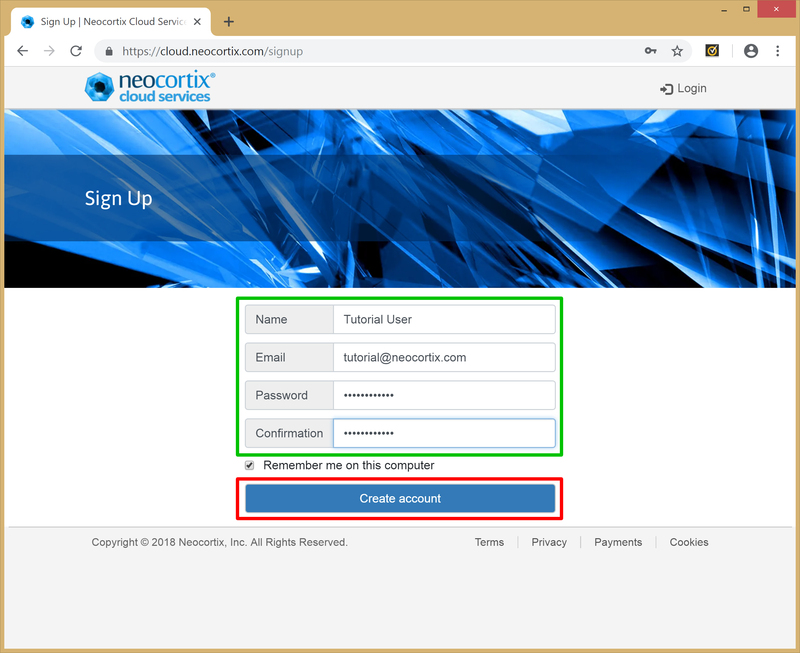 Now Neocortix needs to approve your account for Beta Customer access. We will approve your account for Beta Customer access as soon as possible. When your account is approved, we will send you an email to know that it is done. And then, when you return to the Dashboard page, you will see that the yellow warning has been removed. 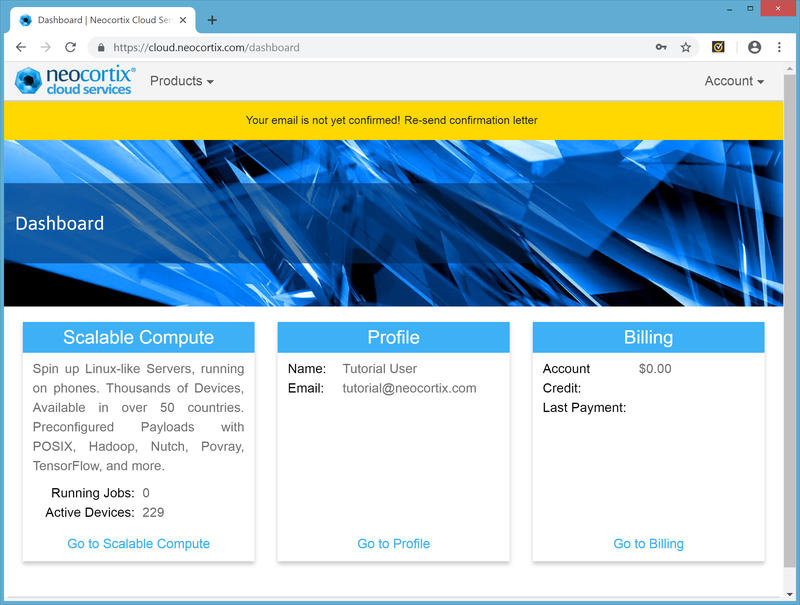 Congratulations, you have set up your Neocortix Cloud Services account, and your account is approved for Beta Customer Access! In the next Tutorial, you will learn how to Launch a single Scalable Compute node using the Web Interface. Copyright © 2018 Neocortix, Inc. All Rights Reserved.